Spain offers a wide variety of academic options within its education system, which includes state schools, partially state-funded independent schools (charter schools in the US system) and private schools. 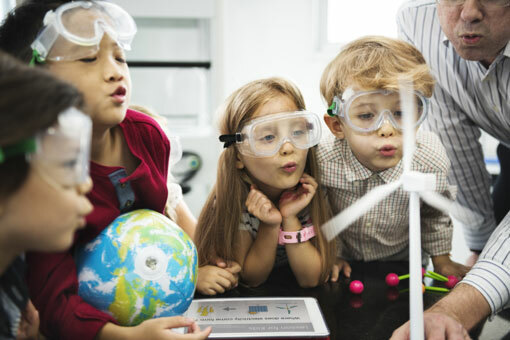 In recent years Spain’s education system has improved vastly in terms of teaching quality, innovation, infrastructure and curriculum to adapt to Spanish and foreign pupils who wish to pursue their studies in a country that offers a host of opportunities. Studying in Spain provides students with the opportunity to learn the second most spoken language in the world. It is also a great academic destination for students from Spanish-speaking countries, as they have the opportunity of competitive studies in a country where their mother tongue is spoken, as well as the opportunity of studying in Spanish or English. 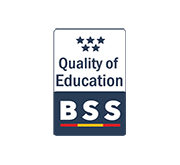 Spain has many prestigious schools that are benchmarks for the rest of the world, with top quality international curriculums and innovative methodologies, all of which can be found using our Best Schools in Spain search engine. Studying in Spain offers students the chance really discover a country that is renowned for its historical, artistic, architectural, natural, musical, athletic and culinary wealth. Spain has the highest standards of security and one of the lowest crime rates in the European Union, as well as a health care system that leads the world ranking. Our nation is famous for its excellent quality of life and pleasant climate, and is one of the countries with most hours of sunlight per day. Thanks to its privileged geographical location it offers a host of magnificent experiences, from skiing in its mountains, to sublime beaches, as well as modern, cosmopolitan cities. Welcome to Spain, we truly welcome you to a country of people who make it easy to integrate, who are open and friendly towards those from other countries and value cultural diversity and the opportunity for cultural interchange very positively. Within Spain’s education system there are three types of schools. Spain offers free, state-funded schools, partially state-funded independent schools that require an initial enrolment fee or payment of a monthly fee, and lastly there are private schools, whose financing depends directly on the schools themselves, allowing them greater independence to decide on their educational offer and making immediate innovation easier. Compulsory education in Spain is from 6 to 16 years. Between 0 and 6 years of age children can attend schools that offer preschool and pre-primary education. 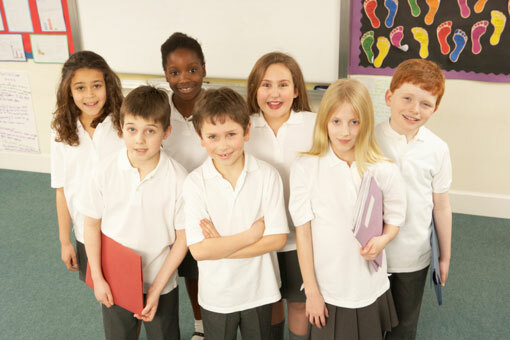 Primary education consists of six academic years and is available to a pupils between 6 and 12. Compulsory secondary education comprises four academic years for children from 12 to 16. At 16 pupils must pass exams to obtain a qualification known as “Graduado en Educación Secundaria Obligatoria”, which is the equivalent of our GCSEs, to be accepted to study a Baccalaureate (two academic years prior to going into higher education) or “Formación Profesional” (vocational training aimed at preparing pupils to gain direct access to the job market). In Spain there are four different types of Baccalaureates: Arts, Science and Technology, Humanities and Social Sciences and finally, Health and Natural Sciences. The Spanish school year usually runs from the beginning of September to the end of June. Daily school hours vary depending on the school and the age of pupils, with the average school week consisting of seven hours daily from Monday to Friday. Schools also offer a range of voluntary extracurricular activities. The requisites for living and studying in Spain vary depending on the foreigner’s nationality. Citizens from the European Union must have a valid identification document. Citizens from countries outside of the European Union must have a valid passport as well as a foreign resident’s card, visa or any other similar document that may be required and this can be consulted with the consular office of the country of origin. These documents are necessary for foreign pupils wishing to apply for admission and enrolment at the Spanish school that bests meets their needs and purposes. The schools included in Best Schools in Spain are highly prestigious, top class schools with excellent academic results. These schools are committed to continuous innovation and to implementing new methodologies to attain educational excellence. In the most recent Pisa survey of Schools in the OECD, Organisation for Economic Cooperation and Development, the schools of Best Schools in Spain were assessed in comparison with other Spanish schools and also with other OECD countries. The results showed that our schools are considerably superior in comparison to other Spanish schools, in addition to obtaining better results than schools in Finland, Japan or Korea. Best Schools in Spain is formed by the elite of education worldwide. In addition to education programs in Spanish, Best Schools in Spain offers many centres that provide international curricula, such as International Baccalaureate (IB), or the British Curriculum (GCSE and A Levels). For this reason these schools are used to receiving foreign pupils and are always open to providing them with educational programs to suit their individual needs. Our Best Schools in Spain have modern infrastructures, many with international residences to take pupils from all over the world. Furthermore, our schools are well aware of the importance of physical activities, sports and promoting a healthy lifestyle, offering facilities for different sports and designing programmes to encourage sport amongst pupils. Studying at one of our Best Schools in Spain assures pupils a top quality education at a centre that is a benchmark worldwide.